Haha nice video. Few of the bosses checks you if have learned the game's mechanics. After the boss on top of Ashina castle the game becomes much easier than the rough beginning. I'm on NG+ now and difficulty wise is rather similar to Souls games. This all reminds me of a quote Albert Eisntein said: "No problem can be solved by the same KIND OF THINKING that created it." That's basically Soulsborne and Sekiro, once you step back, observe and realize what you have to do, the rest is easy. 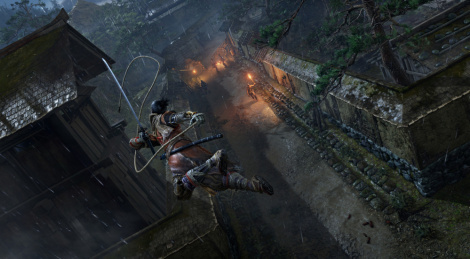 I'm counting on you finishing Sekiro - which is a masterpiece you clearly love. Afterwards, it would be amazing if you went back to Dark Souls 1 (Remastered) or Bloodborne, they're equally amazing and easier than Sekiro, so you would be able to progress very quickly. 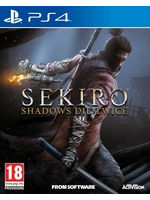 I'm not trying to push you or anything, they are masterpieces as well and very similar to Sekiro and now that you're experienced with From Software's game design, I believe you would have an amazing experience playing them to completion as well. Bloodborne is regarded as the best game of all time by a lot of people for many reasons. Just a suggestion. After the boss on top of Ashina castle the game becomes much easier than the rough beginning.